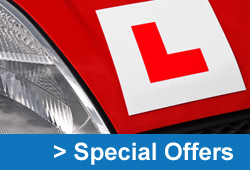 If your looking to pass your test in a hurry then you have come to the right place. Our fast pass driving courses are aimed at people who want to pass their driving test quickly and safely. To get you on the road quickly one of our highly qualified instructors will give you an assessment lesson and will be able to give you a rough idea of how many lessons you are going to need to pass your test which will give you something to work towards. Before you can actually book your practical driving test you must have passed the theory test and hazard perception test. If you haven't already passed both tests your instructor can offer study materials which you can borrow. Once you have passed the theory test and hazard perception test then you can work with your instructor and book a date for your practical test. Prelude School of Motoring Liverpool UK, Prelude Driving School, Driving Lessons Liverpool, Learn To Drive Liverpool, Driving Instructor Liverpool, Driving School Liverpool, Cheap Driving Lessons Liverpool. www.Learnerstuff.co.uk :: Driving and theory test software, cdroms and books. www.2pass.co.uk A Site 2 help U 2pass your Driving Test. Collingwood Learner Driver Insurance UK Driving Schools Directory.